"The Trump administration's anti-regulatory agenda is turning it into the extinction presidency," said the Center's Noah Greenwald. "The vast majority of Americans want to see endangered species protected, but Trump officials are flushing these vanishing plants and animals down the toilet to hand easier profits to their patrons in polluter industries." More than a million wild turtles have been harvested from Arkansas's waters since 2004, so the Center and allies petitioned the state to stop that tragic slaughter. Now the state's Game and Fish Commission has proposed rules and geographic limits to restrict trapping. The commission will study how trapping affects turtles for three years, during which the sale of commercial harvest and dealer permits will be capped at 150 per year. "This is a desperately needed step to save Arkansas turtles, but stronger safeguards are critical," said the Center's Elise Bennett. "Tens of thousands of turtles are taken from the wild each year. 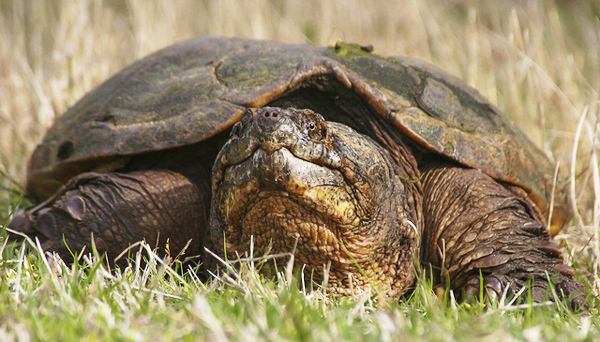 Arkansas needs to ban commercial turtle trapping." Read more in the Texarkana Gazette. 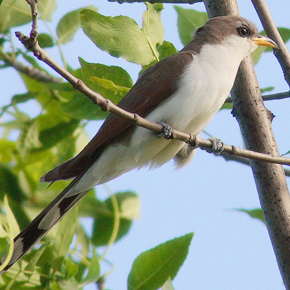 The Center has just sued the Fish and Wildlife Service for failing to designate lifesaving habitat protections for western yellow-billed cuckoos. These beautiful songbirds once ranged widely in the West, but now may number as few as 350 pairs. We've worked to safeguard the birds for 20 years, and we're not about to stop. "Trump needs to designate critical habitat immediately," said the Center's Brian Segee. "Before we lose these elegant little songbirds forever." Read more. In this video the Center's Hawaii State Director Maxx Phillips releases a threatened Newell's shearwater — an "a'o," as the bird is called by native Hawaiians — to its ocean home. When young Newell's shearwaters leave their mountain nests for the sea, they're often disoriented by bright lights. The Save Our Shearwaters program rehabilitates these downed birds for release. Watch the video on Facebook or YouTube. The Trump administration is sweeping aside environmental laws in Texas to speed-build more than 20 miles of 30-foot-high border walls, cutting through a national wildlife refuge, butterfly conservation center, state park and historic chapel. So the Center and allies have sued to stop it. "The Trump administration's trashing major environmental laws without regard for human health, wildlife or the law," said Center lawyer Jean Su. "That's disastrous for border communities, and it's unconstitutional. I hope the courts stop Trump's abuse of power before bulldozers destroy some of the most spectacular wildlands in Texas." Ocelots, jaguarundi and aplomado falcons make their homes in the region, as do hundreds of species of migratory birds and butterflies. Please consider making a gift to the Center to help fight this wall. It's zero hour for the climate, but some kids may help us find a way out. 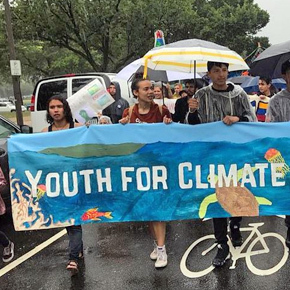 The teenage activist group Zero Hour led this July's Youth Climate March and partnered with 350.org for September's worldwide Rise for Climate. What can we all learn from their success? The Revelator sat down with Zero Hour member and high school junior Ellery Grimm to talk about opportunities for progress and how young people (or anyone) can get active for the climate. Read the interview and subscribe to Revelator's e-newsletter. Recently right-wing Congressman Rob Bishop (R-Utah) has sent letters to the Center bizarrely claiming we're acting as "foreign agents" via our work to save Okinawa dugongs — manatee relatives threatened by a U.S. military base in Japan — from extinction. 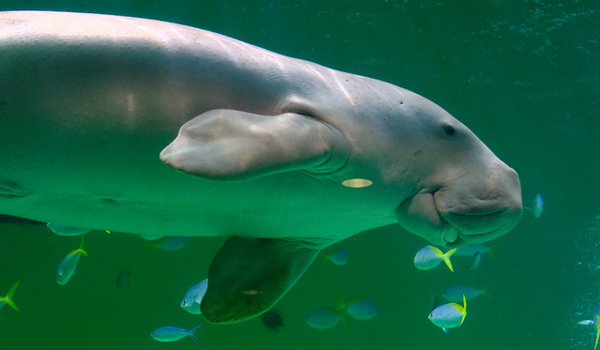 We won't indulge his paranoid and ridiculous assertions, but instead just sent a letter requesting that the House Natural Resources committee hold an oversight hearing on dugong protection. "If Rob Bishop's so concerned about our work to save Okinawa dugongs, we'd love to have a full public hearing about it," said Center Executive Director Kierán Suckling. "But he seems far more interested in trying to bully and harass us with tactics that would've made Joe McCarthy proud." 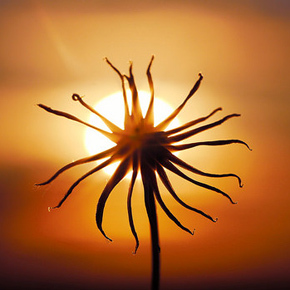 A few weeks ago, the United Nations released an alarming climate report. But why exactly is it so alarming? As climate scientist David Wallace-Wells explains in a recent article: What's new in the report isn't data, but the fact that the UN's normally conservative climate panel is "finally discarding caution in describing the implications of its own finding." Wallace-Wells also explores the climate devastation we can expect in the coming century and ways we can stop it. Get more from New York magazine. Good news for freshwater mussels: The Fish and Wildlife Service has finally proposed Endangered Species Act protection for Atlantic pigtoes, natives of North Carolina and Virginia. 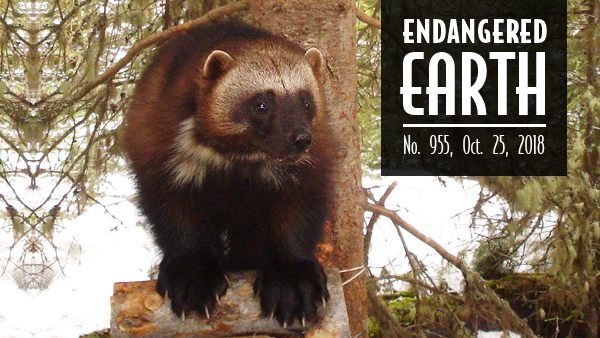 The creatures were identified as needing protection in 1991, and we filed our protection petition in 2010. "Most people don't realize freshwater mussels are the most endangered animals in North America," said Tierra Curry, a Center scientist. "They're indicators of water quality and help keep it clean themselves, so protecting their habitat will directly benefit people, too." Caterpillars are the tubby, ever-hungry, slightly awkward larval stage of butterflies, skippers and moths. While most human eyes may prefer the aesthetics of their final, winged forms, caterpillars are pretty cool in their own right. 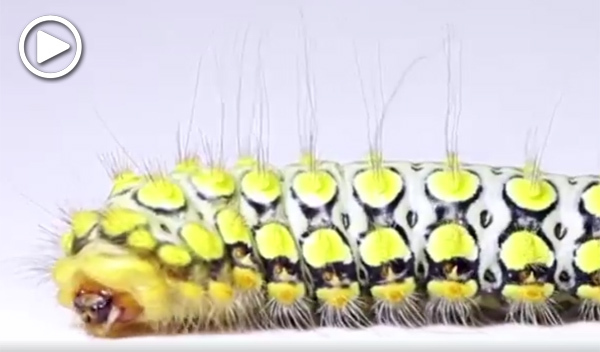 Check out amazing, intimate footage by Samuel Jaffe of The Caterpillar Lab on Facebook or YouTube. The Lab, located in New England, works to highlight these wonderful, strange backyard animals and spark interest in the natural world. Photo credits: Wolverine by Audrey Magoun/USFWS; snapping turtle by scott_bush/Flickr; western yellow-billed cuckoo by Leo-Shapiro/USGS; Newell’s shearwater release courtesy Save Our Shearwaters; ocelot by drriss/Flickr; Youth Climate March courtesy Zero Hour; dugong by FullyFunctnlPhil/Flickr; sun and flower by gotowefoto/Flickr; Atlantic pigtoe mussel courtesy North Carolina Wildlife Resources Commission; caterpillar courtesy Samuel Jaffe of The Caterpillar Lab, Inc.